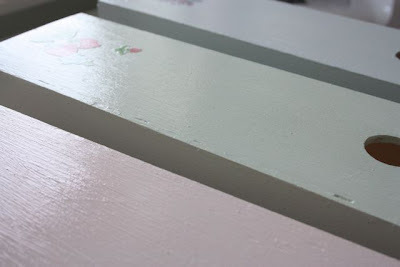 It's time again for me to talk about my project for the year, making a Pretty Crafty Home. In my last PCH post, I designated March the month of making a Hit List and I shared my top jobs with you. Well, I knew at the time that this was a 'tip of the iceberg' kind of moment. I also knew that I was floundering a little with my project. I wasn't quite sure exactly what I needed to do or where I needed to start. It was time to face the music, put pen to paper and list Everything that bugged me around here. Well, everything that I can actually hope to something about at least. 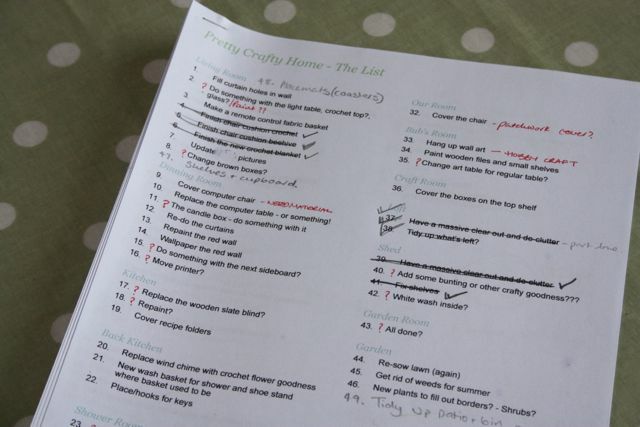 When I'd done that I found my list had grown from the original 12 to almost 50 tasks that needed my attention. Eeeek. It did feel better, getting it all down but still I wasn't motivated to 'get stuff done' straight away. Since that list has been in existence I've realised why I had been floundering. There's a few things on there I just don't want to do. I mean I want them to be done, I just wish I didn't have to be the one to actually do them. Procrastination has been going on, I can't lie. So, this is the plan for April. In the last few days of March, I treated myself to a nice, jolly little project that I could enjoy. It's a little make-over of some file boxes that I've had sitting on my shelves and meaning to pretty up a bit for a hundred years or so. But as I was resolved to action, I grabbed them and got started. This has actually been an excellent little thrifty project because it's cost me absolutely nothing. Not a bean! First of all I got some old cream emulsion and just added a little colour using Little One's poster paints. 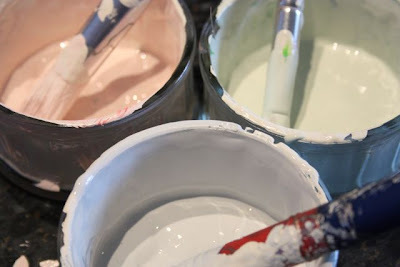 Then I painted each one a different colour and left them to dry. In the meantime, I used an old Cath Kidston address book and one of her catalogues to cut out some pretty little hearts and flowers. 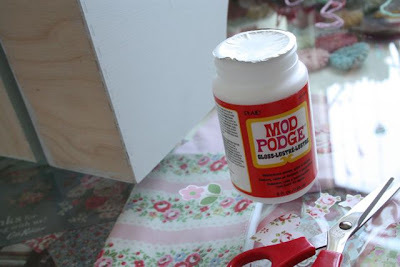 Then I gave it all a coat of Mod Podge to seal it all aftwards. And then they were all done! I didn't go to mad with my sticking, just a little decorative element. Much better than before though, what do you think? 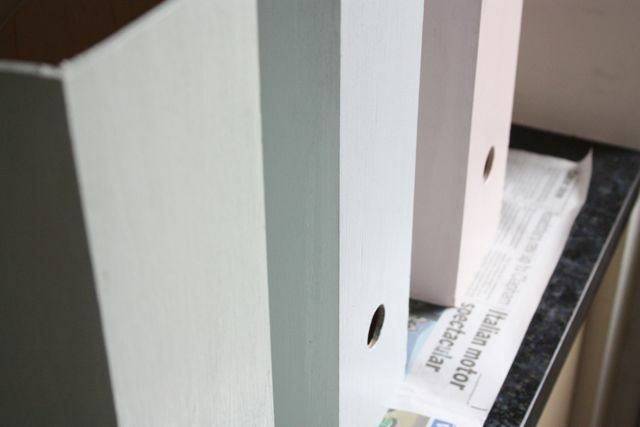 A perfect quick, easy project and very very cheap. Best of all, it's got me to stop dilly-dallying and started me doing again. So that's a good thing. But as a trade for doing the nice project, I'm now resolving to use April to get some of the less enjoyable tasks off the list. Things like drilling holes and filling old holes in. Clearing and sorting the dreaded shed and loft. Messy, tedious jobs. But I need to do them, and I'll know I'll feel so much better once they are done. So, if you're trying to make a PCH with me, why not join me? Let me know what you've been putting off and if you manage to get it done this month. You can link posts below and we'll come and read them, or add a picture of your proud work to the Pretty Crafty Home Flickr group and we'll congratulate you on stopping the procrastination. So in April - Don't put it off! Good luck and I shall look forward to letting you know how I got on soon. 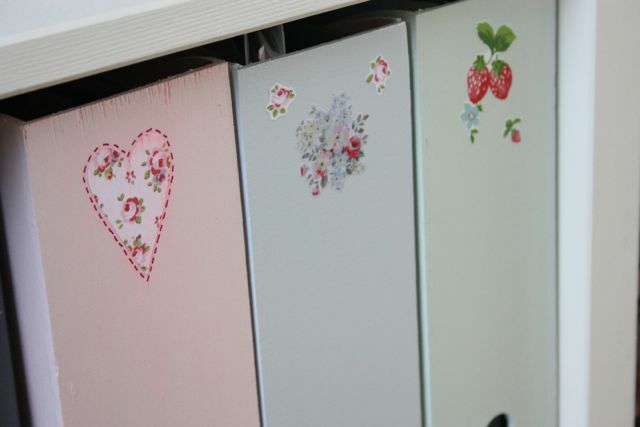 Such a good idea - repainting those boxes. It brightens up your shelves beautifully. 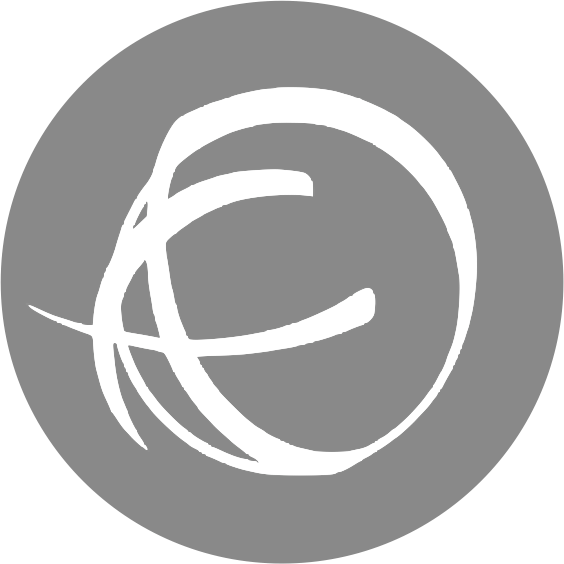 Thanks for posting your blog on My Sewing Circle. That's a great little makeover ... and good choice with the stickers as often less is more and sometimes it's easy to overdo it on the stickers .. they look just right. I know exactly how you feel. The list is a good idea because sometimes there are so many jobs it can become over whelming & difficult to know where to start first. I need to tackle my loft so I'm planning to have a bootsale. I know it will be a big job but hopefully I'll clear up some space so I can get to the things I need without having to complete an obstacle course to get to them. 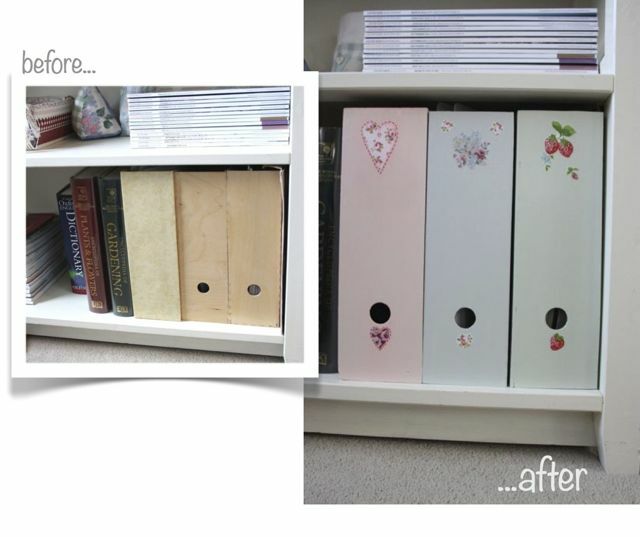 Your file boxes are lovely and will hopefully inspire you to start/complete more projects. Good luck. They look great, I love the idea of adding poster paints in to change the tint. I have just had a hissy fit this last couple of weeks about the state of my home and have, like you decided I must action it rather than just wishing it done. I started last weekend with the glory hole under the stairs - yuk! I must take photos and post it soon. Wonderful post!!! I need to get off my tuff and get more done around here. I did finally pretty up the bookcases and thankfully my son noticed. I have a box that looks just like your before...off to pretty it up. yes, yes... we have all been lagging behind, haven't we? But thank you for inspiring us to move forward and take the next step. 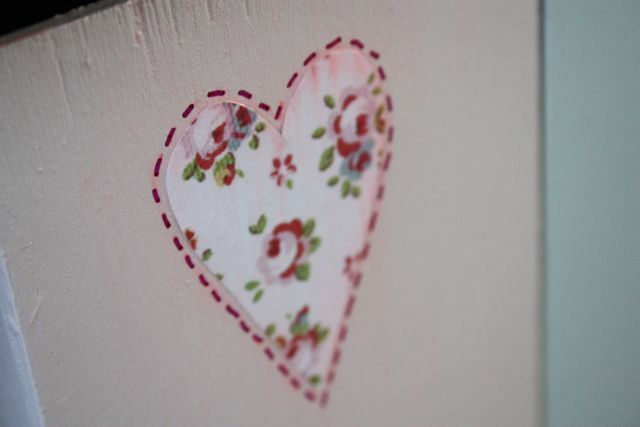 I have been doing a couple of little things for the Home, and I will share the pics soon. Am I lagging behind if I joined the party late?? (hehe, trying to get off with a lame excuse!!) ;) I have the list made and am about to start blogging about joining this little adventure! So excited to be here too! What a great idea, it's just the thought of getting started......!! We moved about a year ago and I was able to give away many of the things in our home that we were not using - but felt others would get some great use out of..... unfortunately, I have "obtained" new stuff and realized that my craft room has ballooned out of control! It is amazing because before we moved into this home - I did not have a craft room.... I had a craft closet! So you have given me motivation to move forward, declutter and make a pretty crafty home..... Thank you "always" for great inspiration. What a great idea! Looks really good! 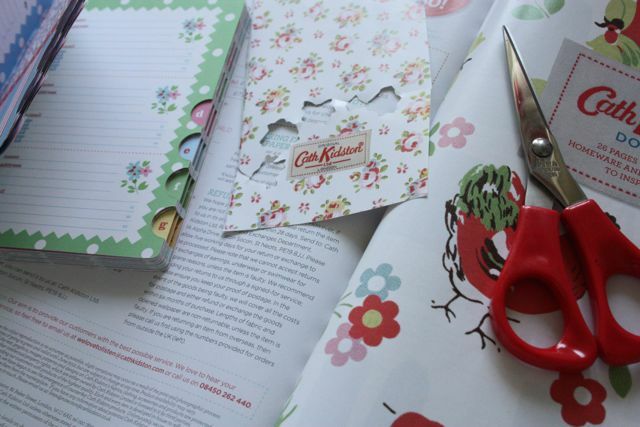 How pretty and what a fab idea to use the CK catalogue! Wonderful transformation...love the CK recycling idea! Hello! I have just discovered your blog and love it :) I love what you have done with those wooden boxes, and a thrifty-costs-nothing project is right up my street.